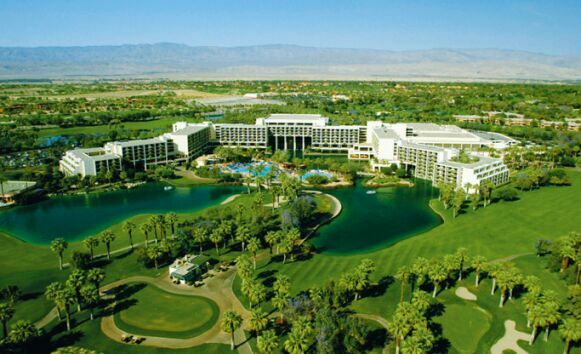 Aerial view of the Marriott Resort in Palm Desert. Located about 13 miles from Palm Spring. The resort has two championship golf courses, just paradise for a golfer. 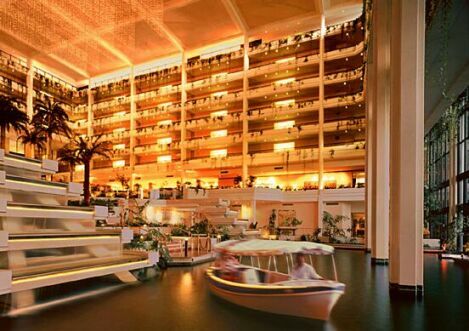 View from inside the lobby looking out to the water. From inside the lobby, you can either walk to a bunch of restaurants or you can take these tiny boats...the ride is probably less than 5 minutes long. Tennis court on grass like Wimbledon. All we are missing are players. Hanh and I we went shopping in a trendy shopping center downtown Palm Spring. Yep! it is pretty green considering we are in a Desert! It is usually very hot in April but this year been a very wet year for them. We lucked out, the weather was very pleasant around 70+/80 degrees. 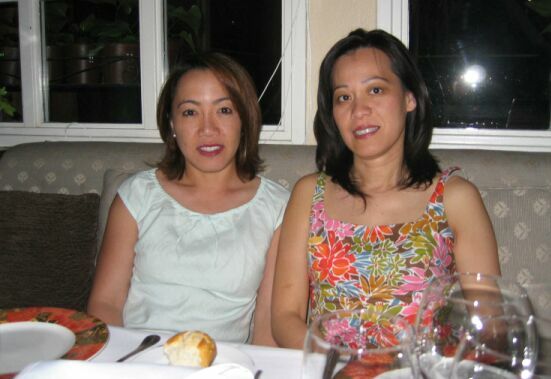 Dinning at a nice French restaurant. On our way home, a multitude of wind mills were lining up the side of the fee-way for miles. Wind Mills come in different sizes and it was pretty sight to see them turning on a windy day. We stopped for lunch at Jack in the box for a quick lunch.